Manufacturer rated as Thatcham category 2? 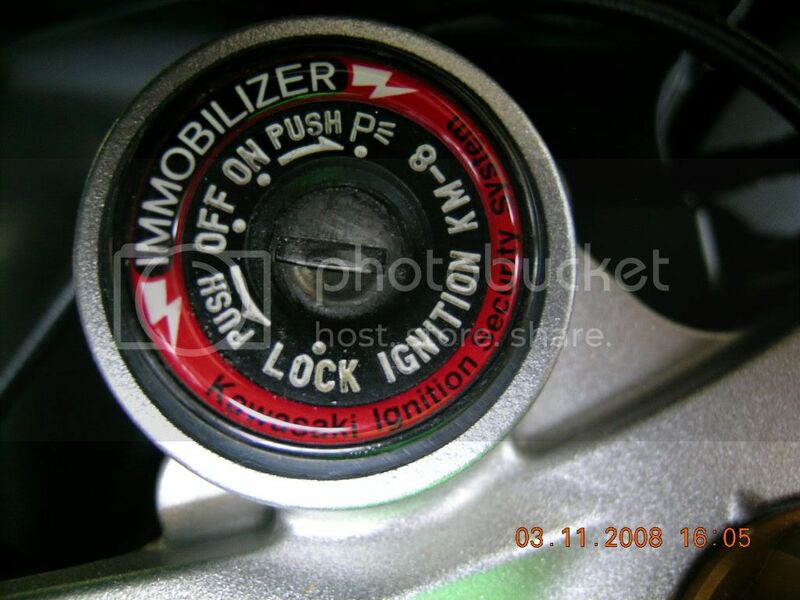 I've got a 2003 Kawasaki zx636 (B1H) motorcycle and wanted to know if the standard manufacturer immobilizer is a Thatcham Category 2 immobiliser? insurer approved installer and that the immobiliser is on and working whenever the insured vehicle is left." Re: Manufacturer rated as Thatcham category 2? i wasn't aware the b1h came with an immobiliser? Surely Kawasaki could confirm the immobiliser category? The ignition barrel doesn't look like that image, it just looks black and silver. I've tried to get hold of a Kawasaki dealer but couldn't get through, I'll try them again tomorrow. I don't remember mine having it either. My 05 10R had KISS - maybe that was the year it was introduced. Thanks for the replies everyone, after calling a couple of dealerships the consensus is that it doesn't have one fitted.